Cockersand Lighhouse and Plover Scar Lighthouse (also known as the Abbey Lighthouse) are sited at the entrance of the Lune estuary. Both were built in 1847. As the lower light of the pair of leading lights, Plover Scar is also called the front or Low Light. 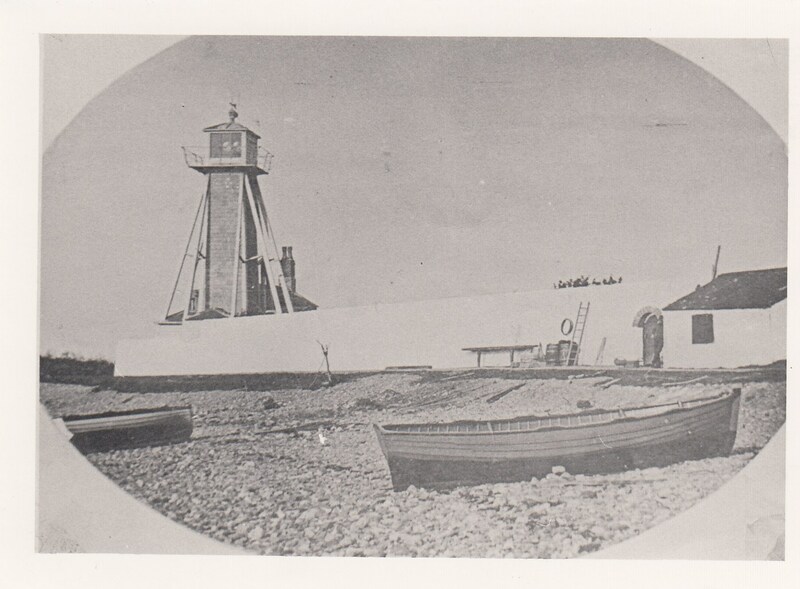 The rear or High light, known as Cockersand Lighthouse once stood next to the Abbey Lighthouse cottage on Slack Lane. Cockersand Lighthouse and was built in 1847 to the plans of Jesse Hartley, the Dock Engineer to the Port of Liverpool (1824-1860) and built by the builder Chas Blades at a cost of £ 650. The leading lights helped ships navigate into the Lune estuary, to reach Glasson Dock and then onwards via the Lancaster Canal to the port of Lancaster, with Plover Scar marking the rocky outcrop at the edge of the deep water channel into the estuary. Bob Parkinson’s oral history is in the archive.